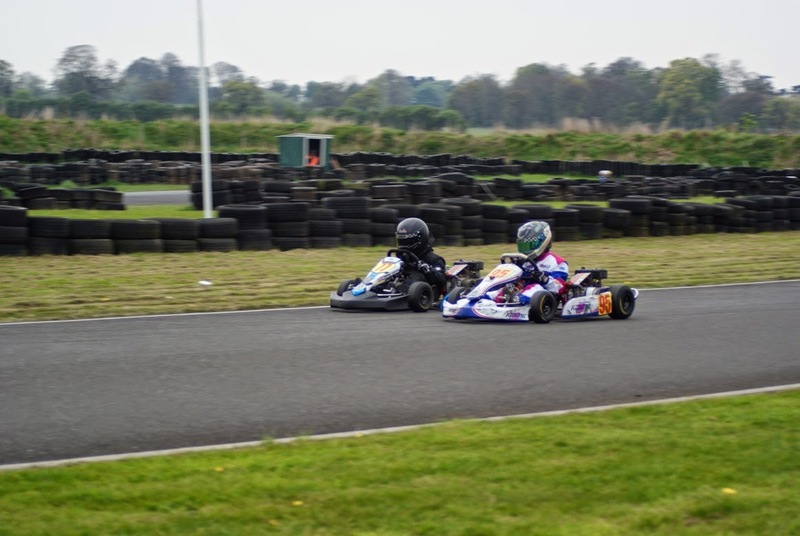 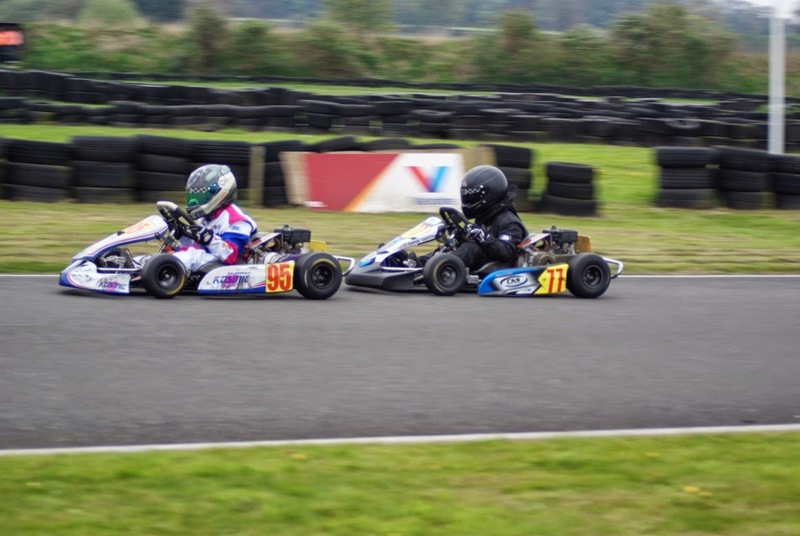 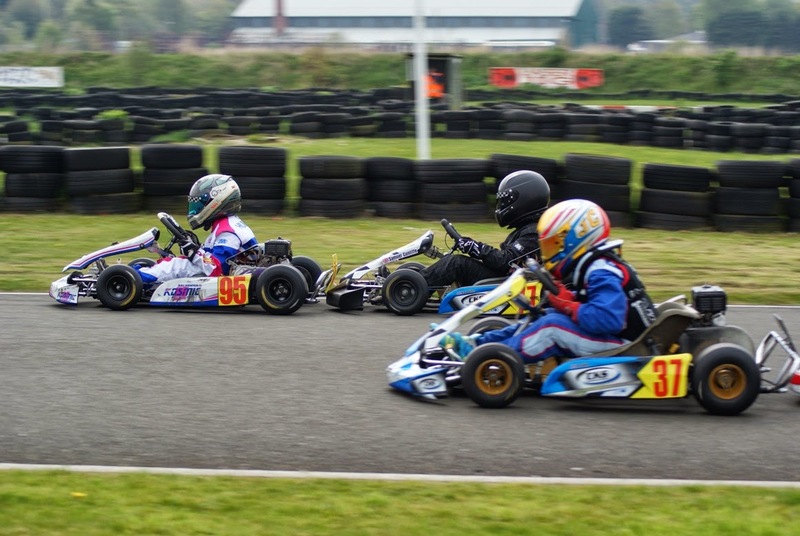 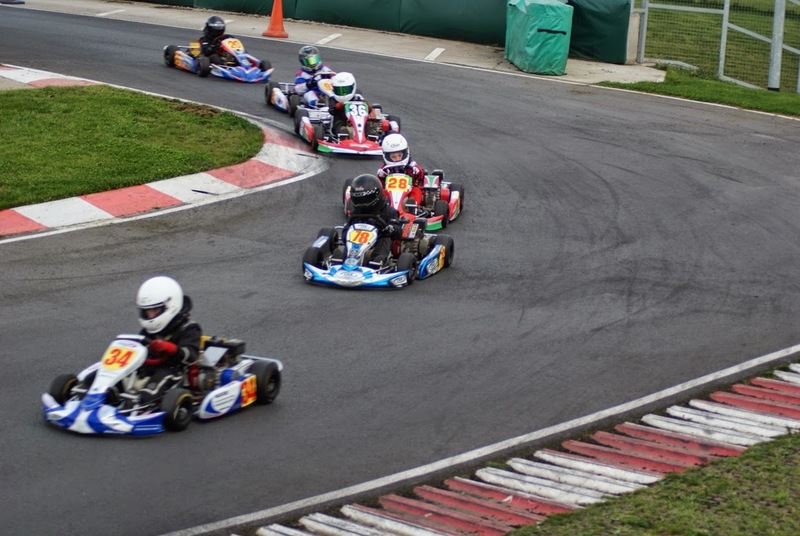 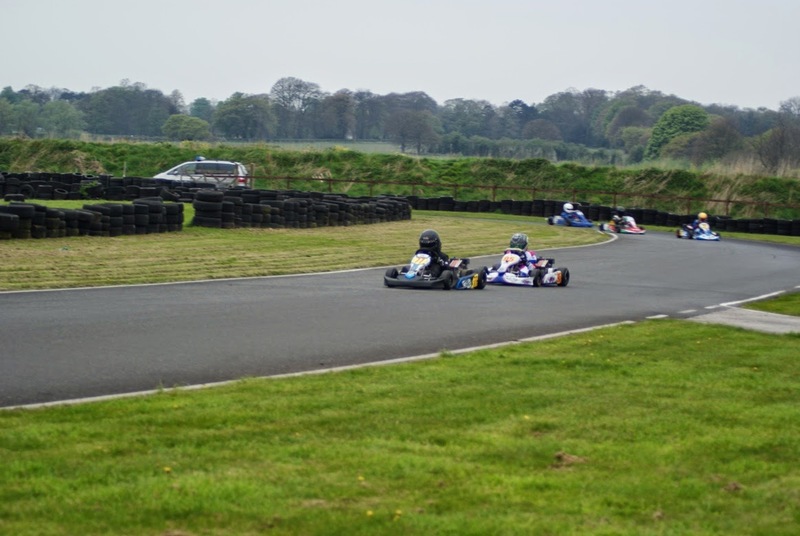 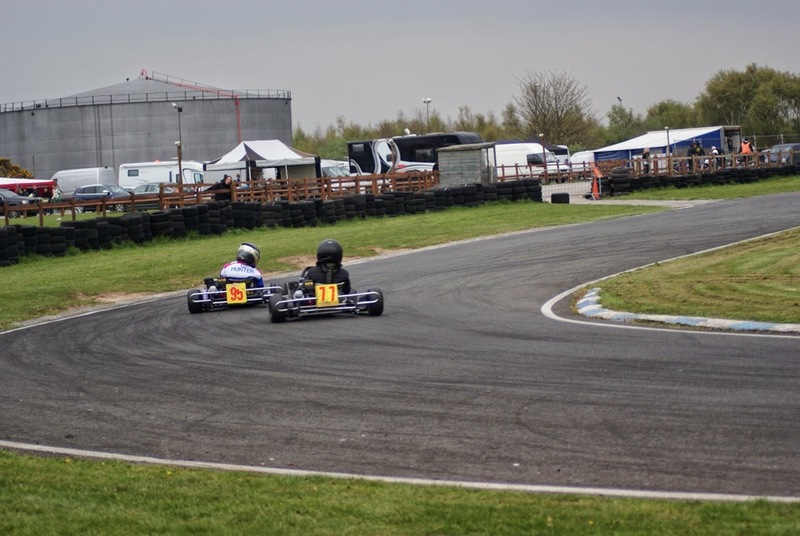 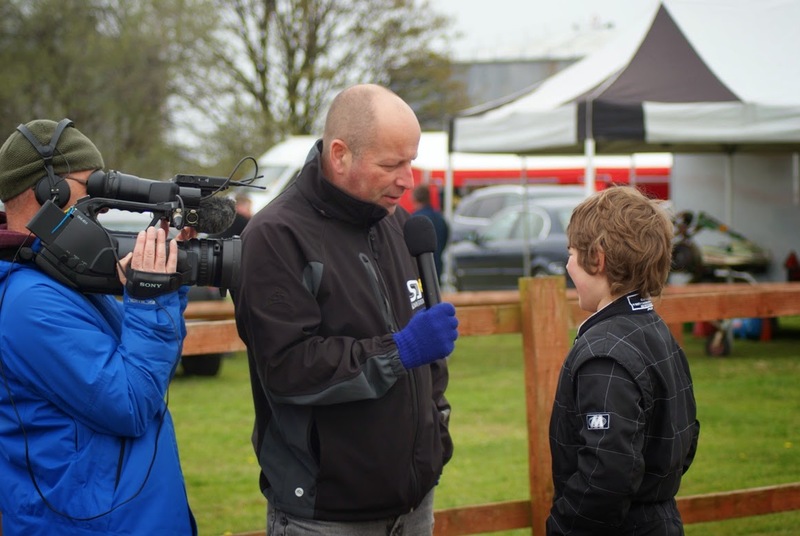 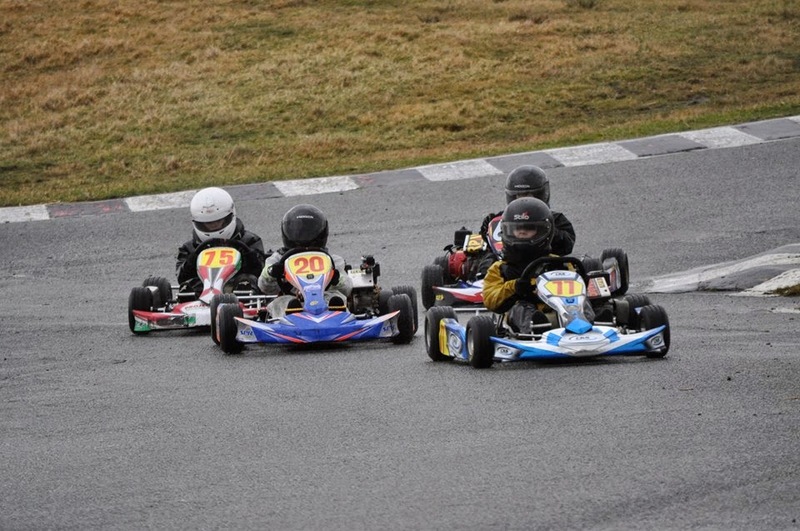 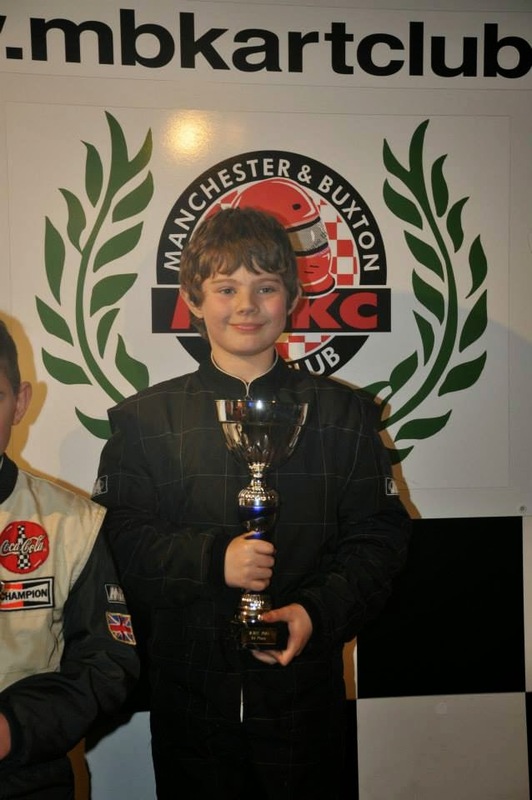 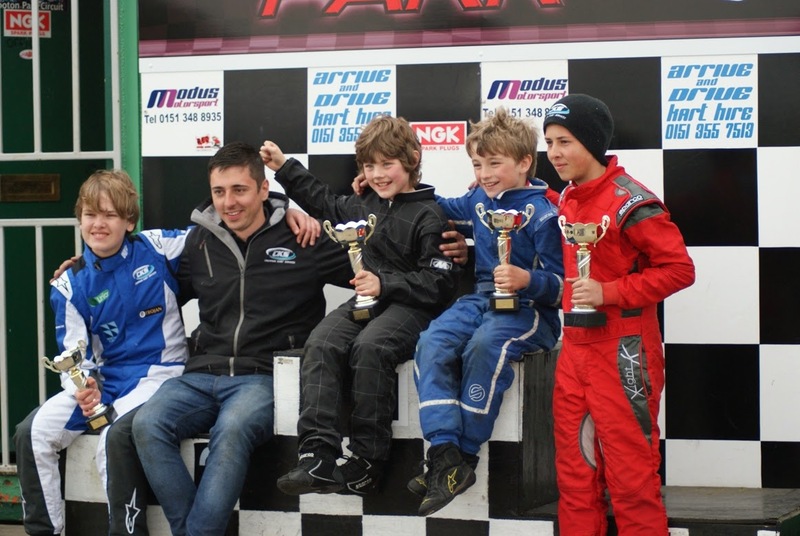 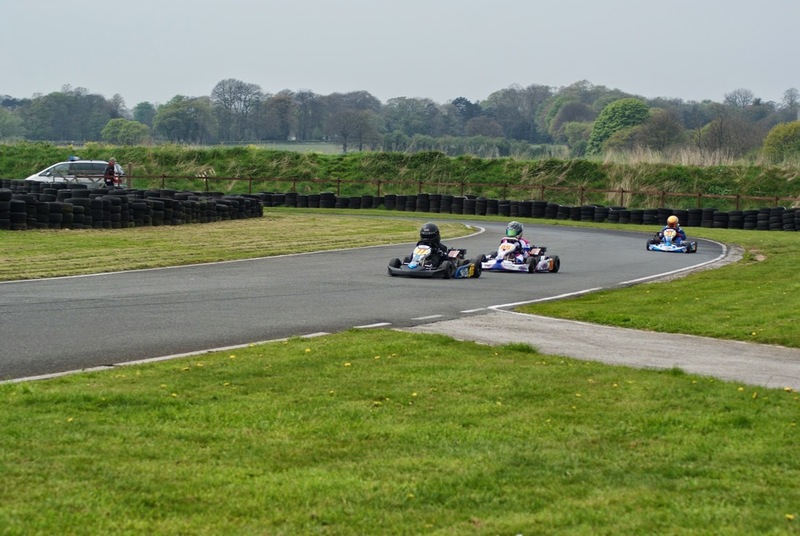 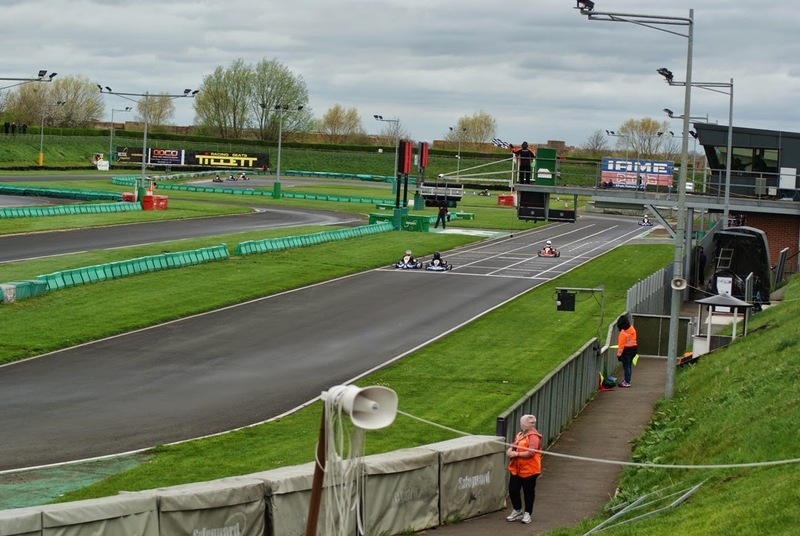 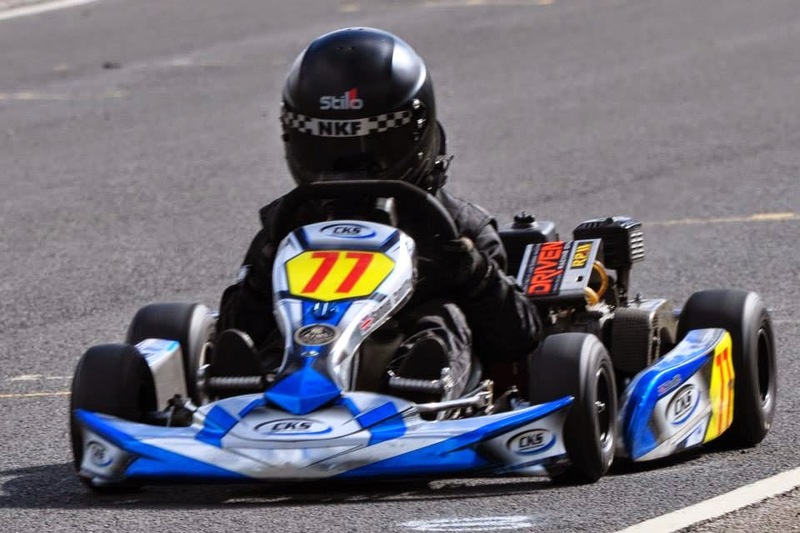 The first round of the Manchester and Buxton Kart Club 2014 Championship took place on 26 January. 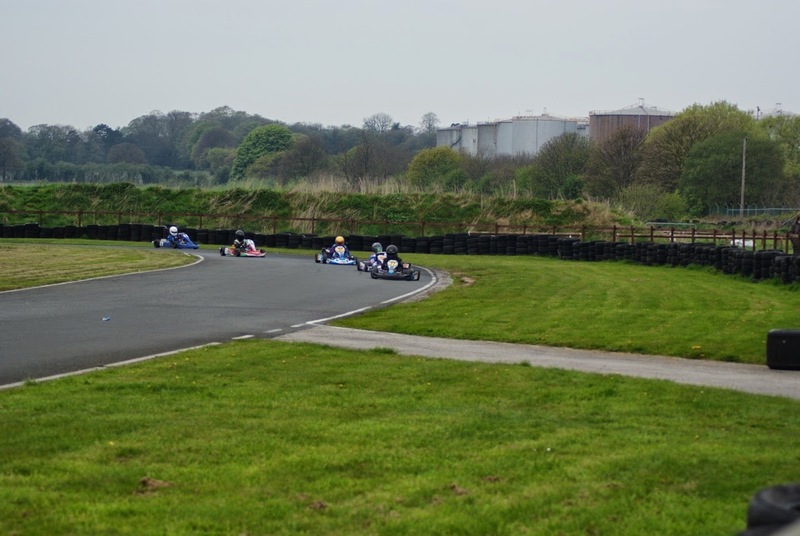 There were 6 Honda Cadets racing on the Club circuit. 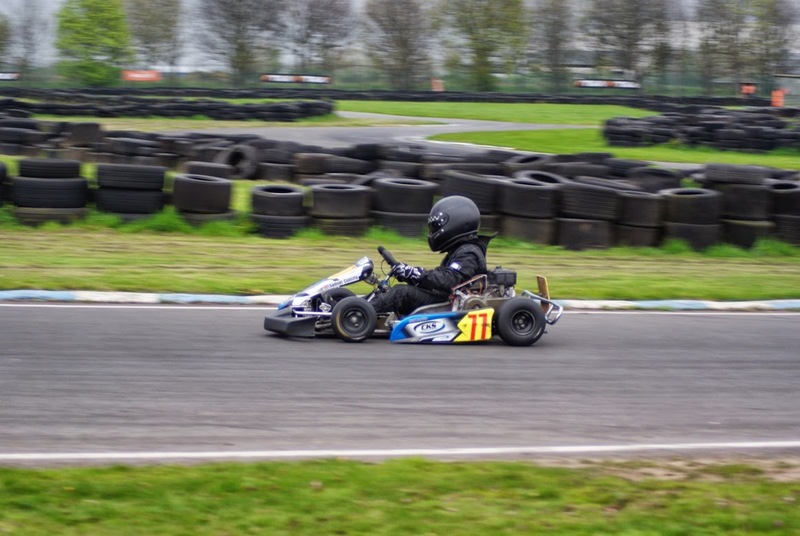 The random grid placings for the heats meant that Samuel started in 3rd for the first heat. 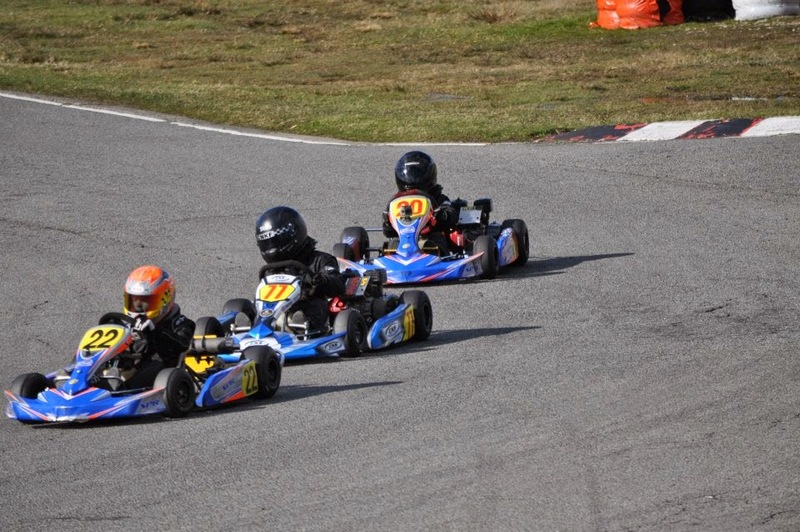 Between lap one and two he dropped to the back of the pack but managed to pull back to 4th by the fifth lap. 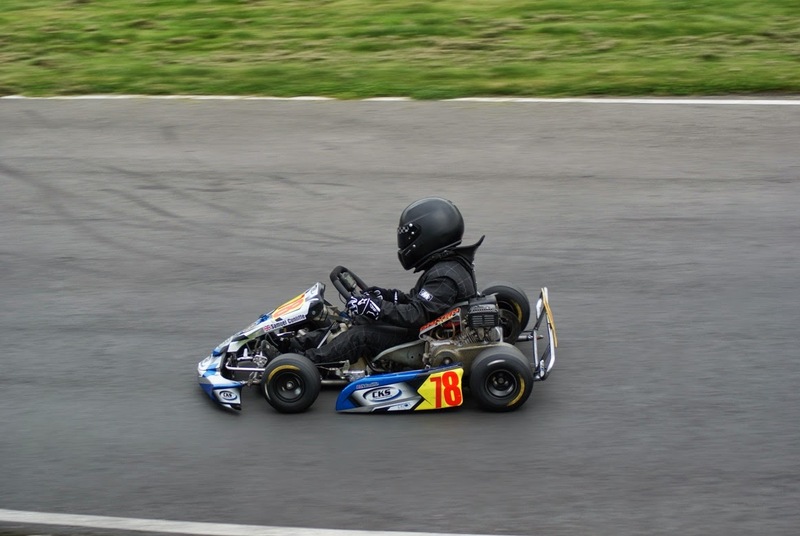 He finished the heat in 4th place with 54.72 lap as his fastest. 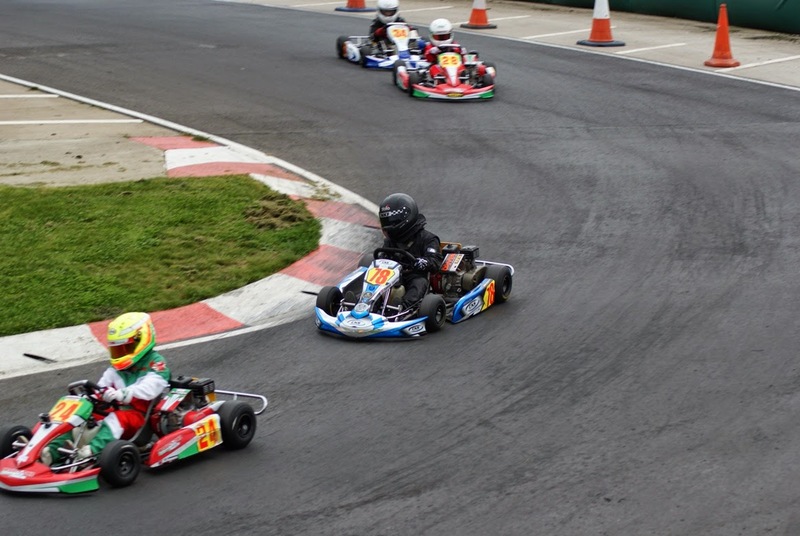 For both heats 2 and 3 he started in second and finished in third with times of 54.78 and 54.16 respectively. 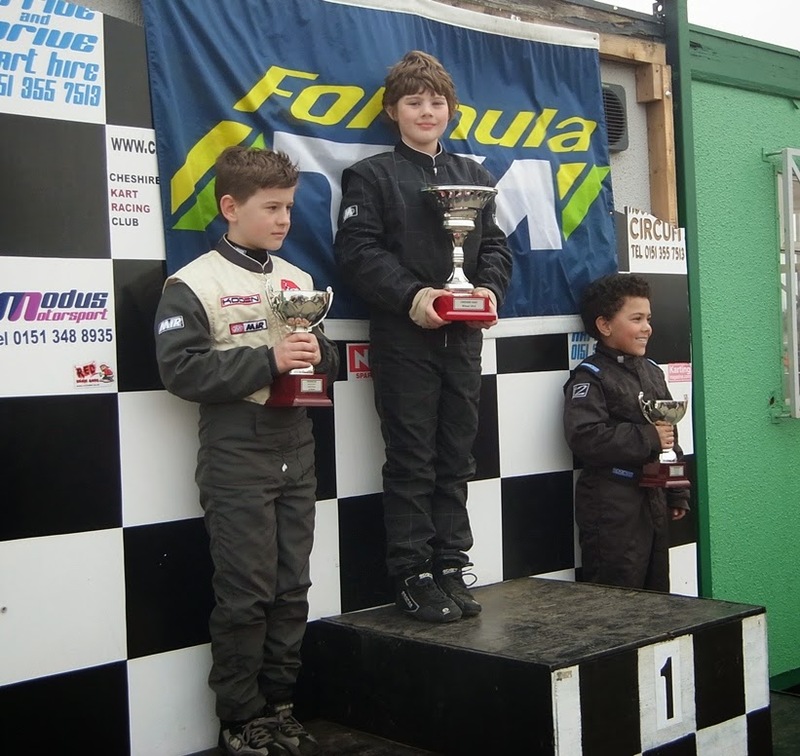 In the third heat he was leading the race by the end of the first lap but had fallen back to third by lap three. 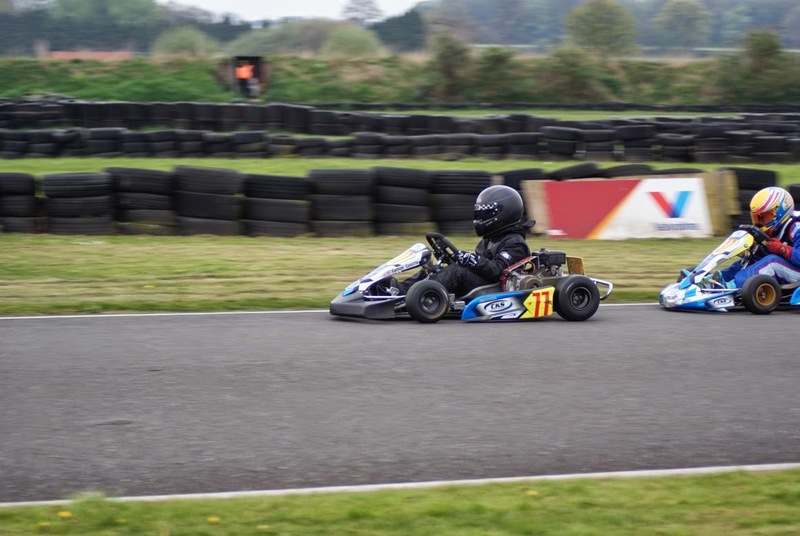 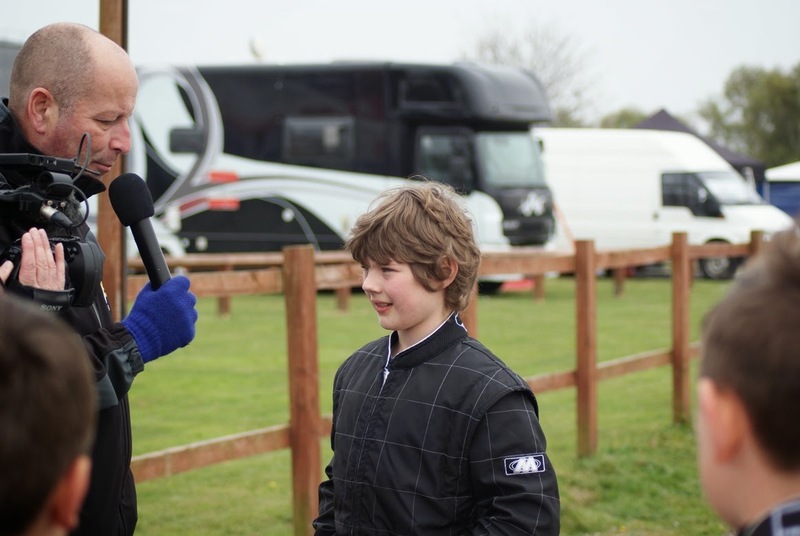 In the final he started third and after the first lap he was up to second place but ended up as third by the third lap which is where he finished with his best time of the day - 53.66. 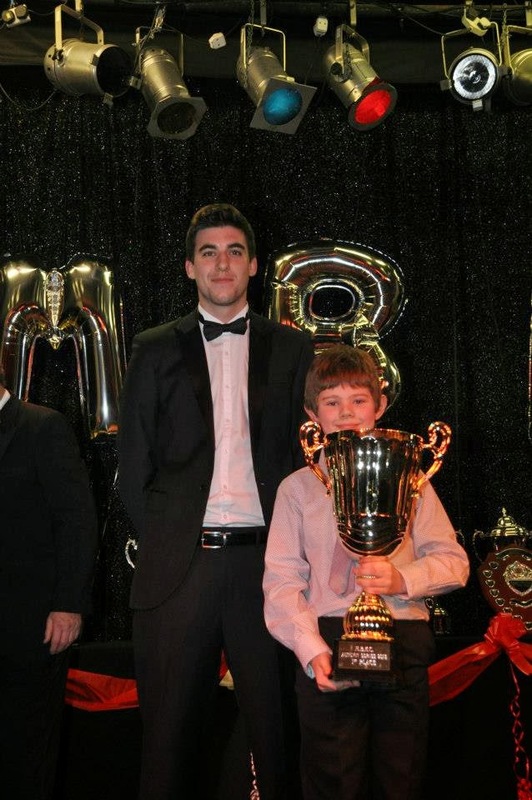 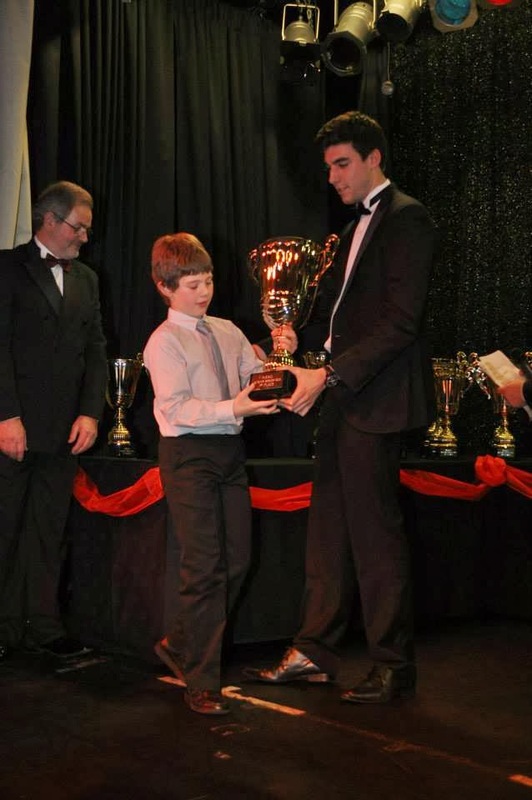 On Saturday 11 January Manchester and Buxton Kart Club held their Winter Ball and Presentation for the 2013 Championship. 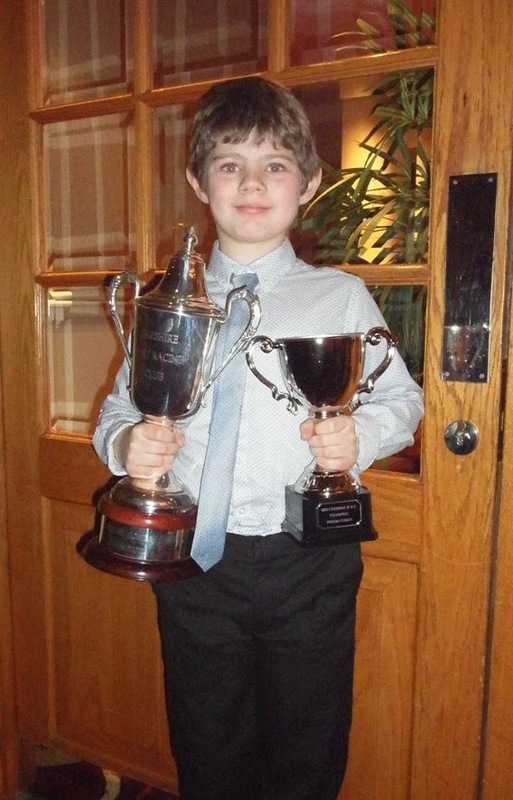 Samuel collected two trophies - rather large too! 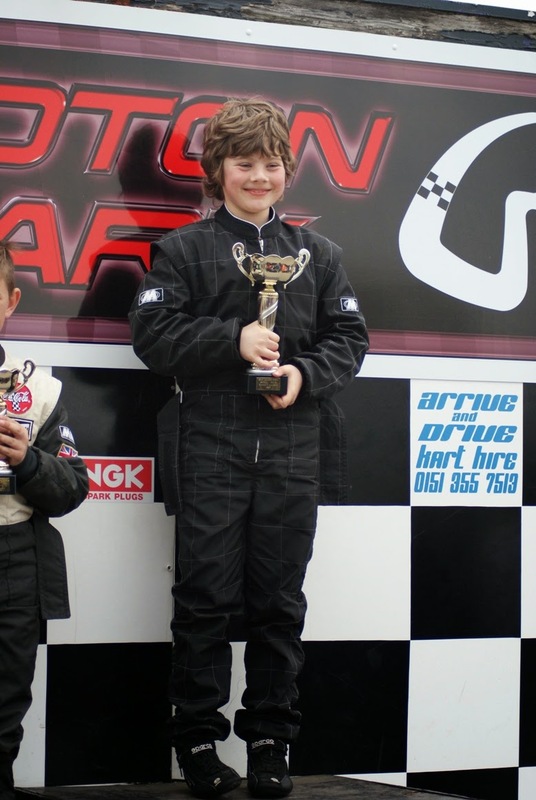 To put it into perspective, the plinth is bigger than his first ever karting trophy! 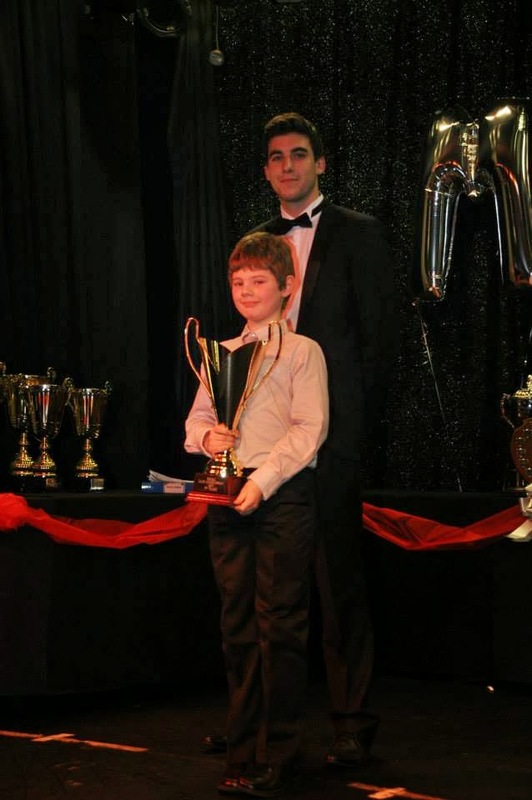 Stage photos courtesy of MBKC facebook page.